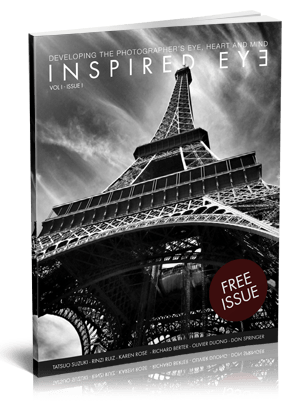 Every issue of Inspired Eye is an adventure in Photography. 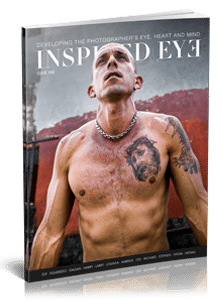 In the 16th issue, follow John Spencer in 1962 France trying to follow the footsteps of Bresson, but see also the photographers that do great work where they live like Patrick Laroque from Canada & Jeffrey Itum from the Philippines. There's plenty of international action too, from Jakarta to Africa. 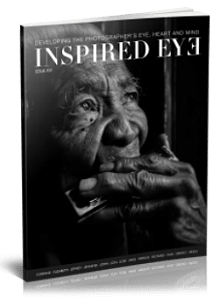 Within 182 spreads, there is the collective strength and wisdom from 13 photographers from walks of life. They disperse their observations and hard earned lessons for you to learn about yourself and your photography. It's all about inspiring and being inspired. And since we have photographers from different backgrounds, skill levels and styles, it's a pool of wisdom to draw from.